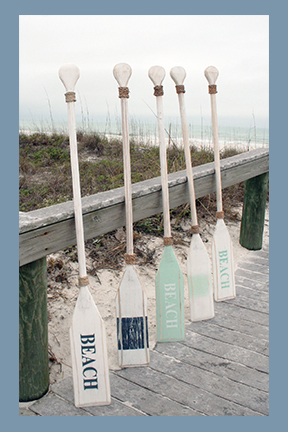 Everything Coastal....: 10 Ideas for Coastal Decorating with Oars and Paddles! Decorating your home with painted vintage (or not so vintage) oars and paddles is one of my FAVORITE ideas for coastal and nautical themed rooms. 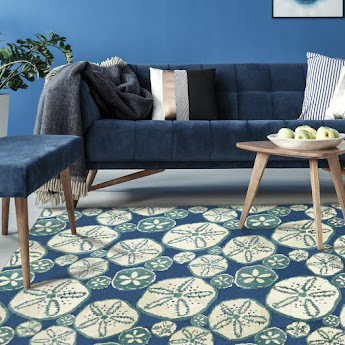 Have to show you 10 innovative room ideas that I have been collecting for inspiration! 2. 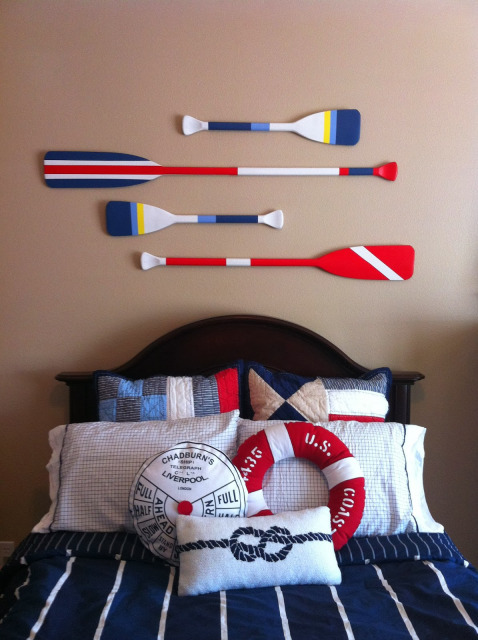 Colorful oars coordinate well with nautical style bedding and pillows. Fun, bright look for a kids' room. (sorry - not sure of the original source!) ...super cute life ring pillow! 3. An innovative handrail - this is such an awesome idea! 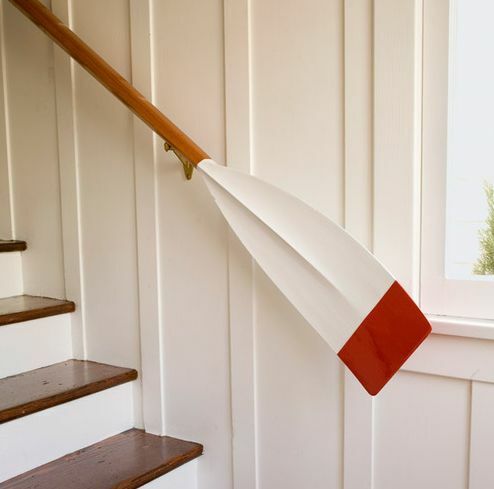 Discovered at "This Old House", homeowners Sue and Burr McKeehan unearthed "found" vintage oars underneath new beach bungalow in Newport Beach, California and simply gave them an extra polish. Voila' - amazing new stair hand rail with a piece of their home's history preserved! 5. How adorable is this kids' bathroom idea? So cute, and absolutely practical! 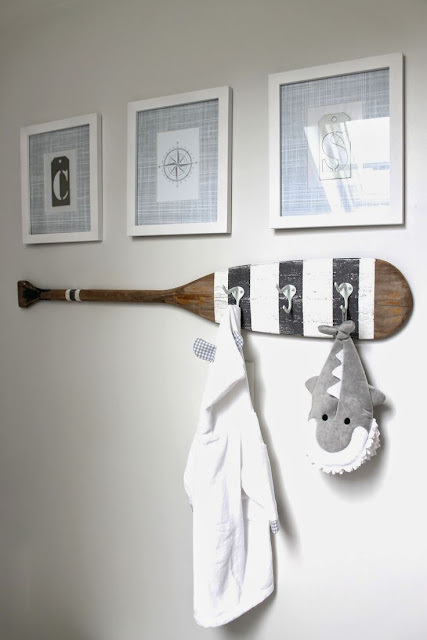 Add a few hooks and pretty stripes to coordinate and you can create a kid-friendly place to hang towels, bathrobes and other fun bath time essentials (super whale in this pic!) 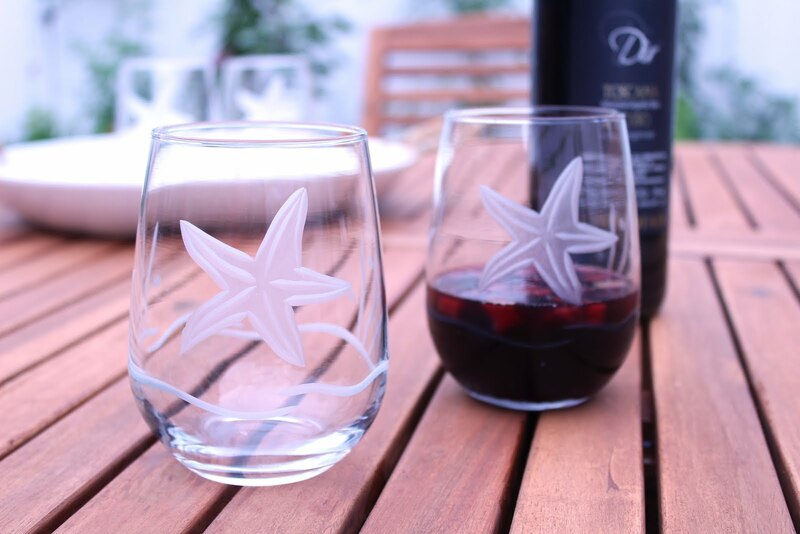 Idea created by Pawleys Island Posh - click to see the rest of her adorable blog! 6. 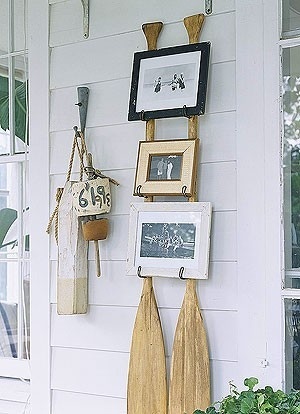 More hooks and paddles - this beach cottage entrance idea from Sarah at Abeachcottage.com. 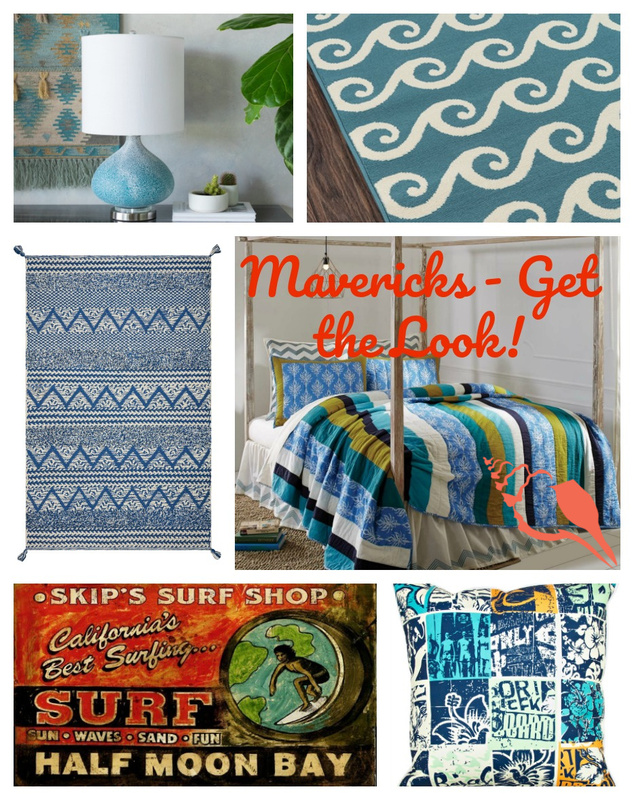 Welcome guests with a place to hang coats, bags, and beach towels too! 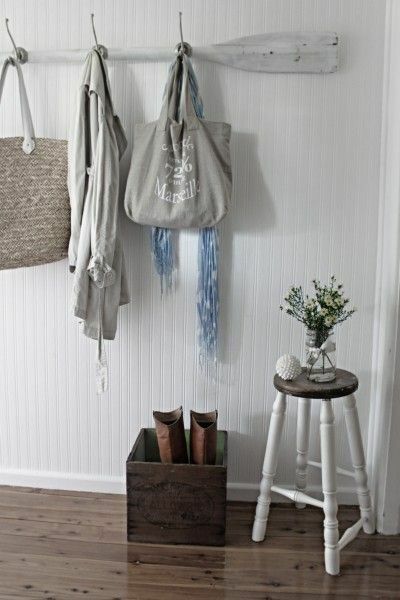 Simple add of larger, sturdy steel hooks to hold heavier items. 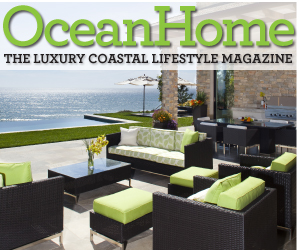 If you want to avoid rust, a constant coastal issue, I would use stainless steel. 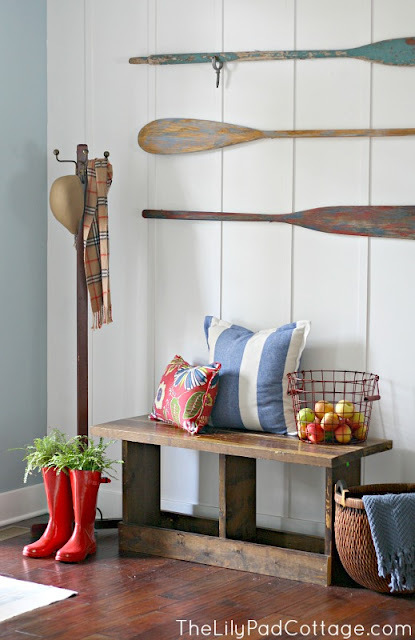 If you don't mind creating an even more "rustic" paddle look then any heavy duty hook ought to work. 9. Outside Art! Sorry not sure of the source, but thought this was an innovative way to display rustic oars - just build a rack and hang them up. 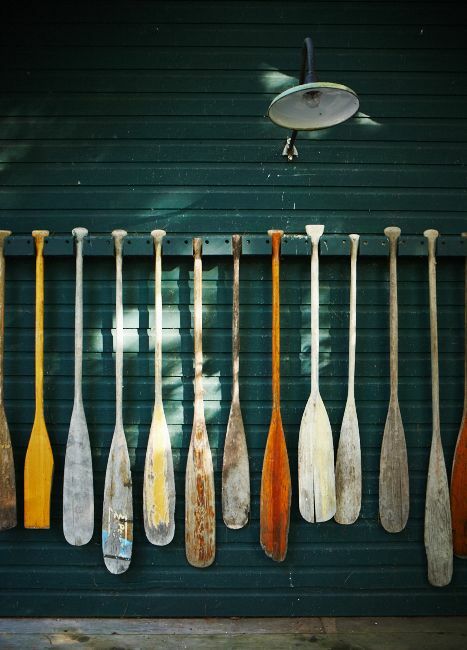 Think about a constant changing art display by trading the paddles around for different occasions or grouping colors together. 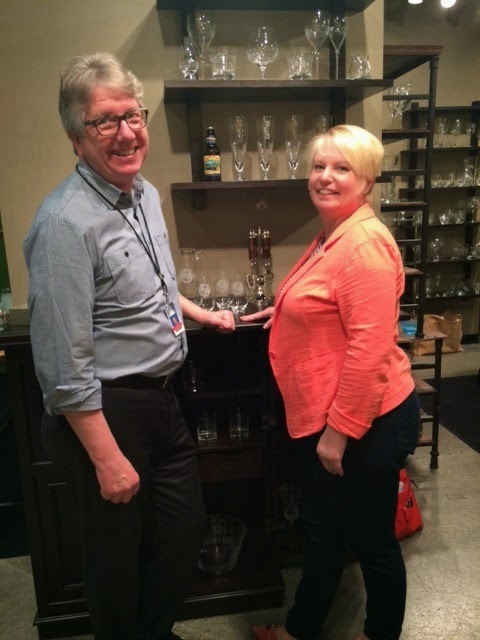 Hmmm.... possibilities are endless for summer fun! 9. 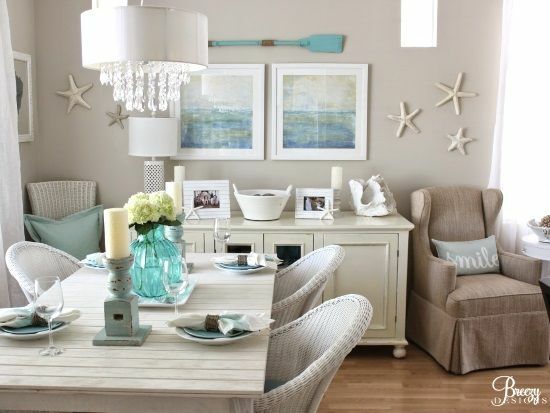 As "wall art" to highlight more beach art and bring an art wall gallery some cohesiveness. 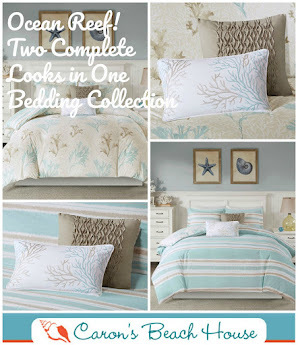 Pretty aqua room and oar from Breezy Designs, as featured on BeachBlissLiving.com. Her home is beach cottage pretty! 10. 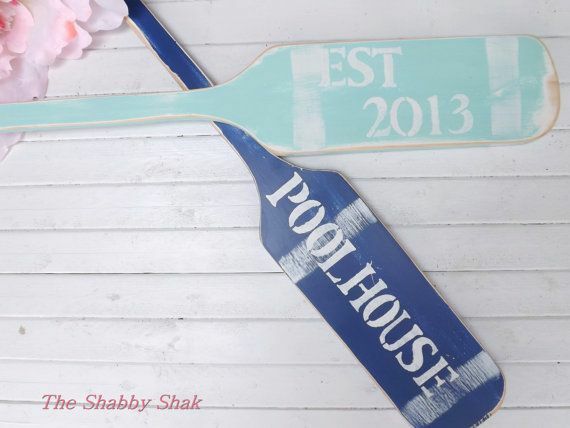 How about creating a one of a kind idea with just a part of the paddle? 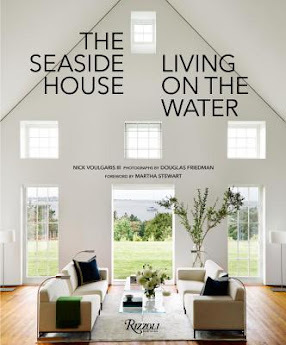 Such a fun idea at Coastal Living Magazine in their 2011 Ultimate Beach House Tour home in Norfolk, Virginia. 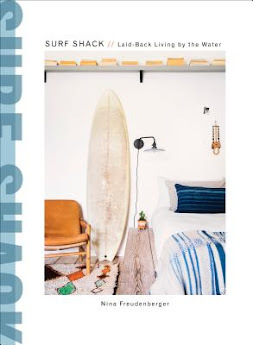 "Fanned-out paddles are a sculptural, cheeky take on the classic round mirror." 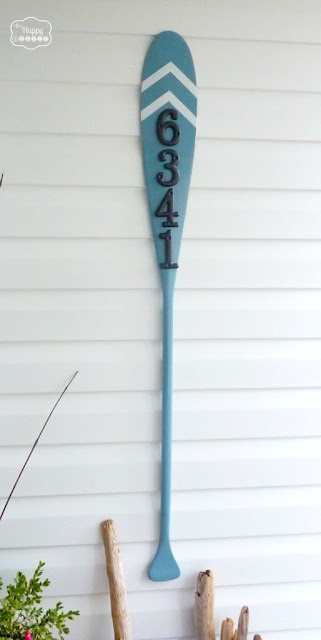 Not sure that I am that crafty, but it's a neat idea. 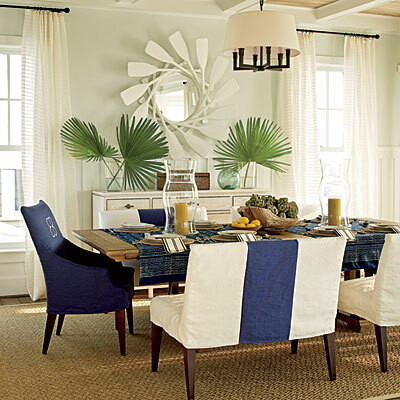 Polished mirror idea and fits perfectly into this gorgeous East Beach home.